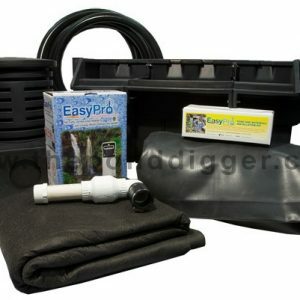 This Large EasyPro Waterfall Kit has everything you need to build beautiful waterfall and an 18’ long stream x 50″ wide. Used by professionals nationwide. 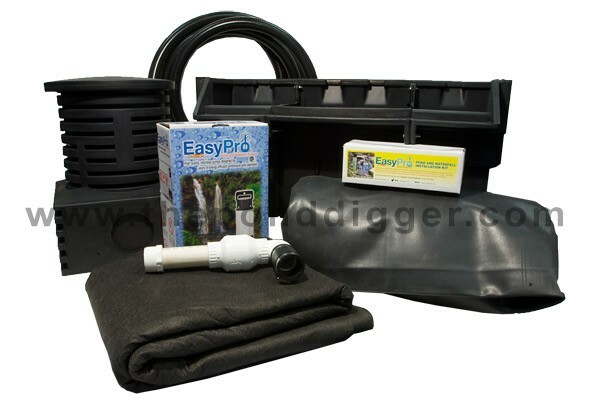 This Waterfall Kit has enough liner for a 8’ x 10’ x 3’ deep reservoir basin. 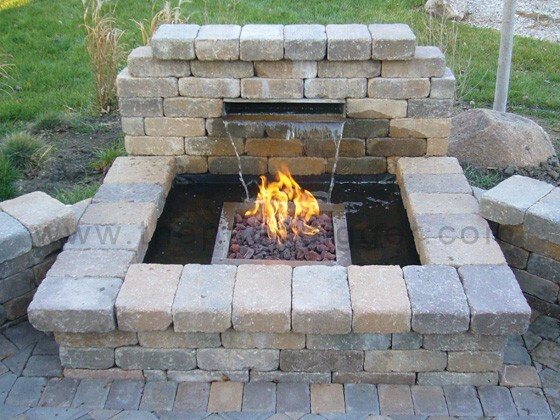 Waterfall spillway can be extended by simply adding an extension module. Module not included.